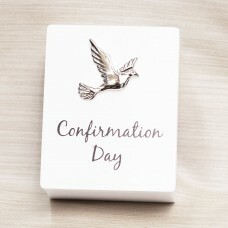 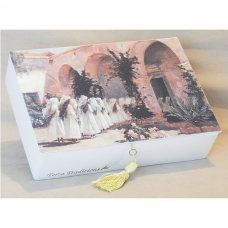 Gina Freehill Collection Keepsake Box First Communion, Another fine Gina Freehill design, Stunning! 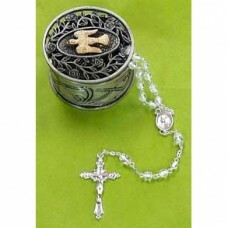 Cut out cross decorated around with silver hearts. 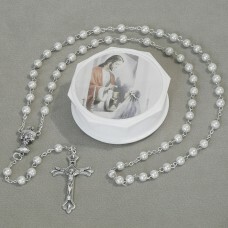 Pewter Keepsake Box With Rosary Confirmation, features a crucified Christ on the cross. 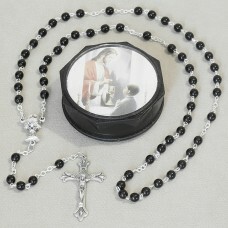 The Virgin Mary graces the center medal. 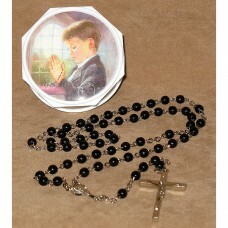 Praying Boy Rosary In Keepsake Box First Communion, White keepsake box of picture of a boy, rosary decorated with 5mm black beads with silver chain.